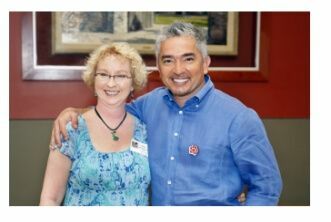 Cesar Millan, world renowned as The Dog Whisperer, and Val have something important in common. And because most of the dog’s problems come from their person, through confusion, pain or misunderstandings, and/or improper caretaking? We also have to retrain and heal the human! Dogs come into your life for a reason. They are Angels, Teachers, Guides and Healers. When you know how to recognize, respect and revere them for who they truly are, then th ey help make you a better person. Until you communicate with your dog, how can you know for sure? Do they do those things? Then the answer is probably yes, they are happy enough for the most part. But what if you have a strong sense or feeling that they are trying to tell you something? Even though they do all those things, you know in your heart that they have something important to say. That’s where dog communication comes in. And, if your canine friend doesn’t fit in this description, then there is work to do. Unhappy dogs usually demonstrate how they are feeling in no uncertain terms. Does your dog do any of these things? Dogs do feel pain, sadness, anger and grief, they reason and think, and make decisions which make sense from their viewpoint. They will also display nervous anxiety and stress symptoms when something isn’t right in their world. And, they do everything they can to tell you about it. If you recognize any of these symptoms, then you need to know that something is wrong in their world. Telepathic communication between dogs and humans are a valid means to get to the root of behavior and health issues for hundreds of years. Animal communication, aka Dog Whispering, is becoming main stream every year as more and more people are hearing or reading about it. Terms like pet psychology, dog psychic, intuitive healer and dog whisper are making their way into everyday conversations as people are embracing alternative means of training and healing. How do you know what is right for your dog? 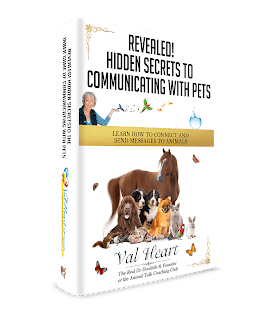 The first step in the HEART System for solving problems with animals, animal communication helps determine exactly what caretaking, health approach, diet and specific training method is needed and would be most useful. Val’s style and effectiveness have been honed over the last 30 years so that she now enjoys a better than 90% success rate with her clients through her unique proprietary methods. 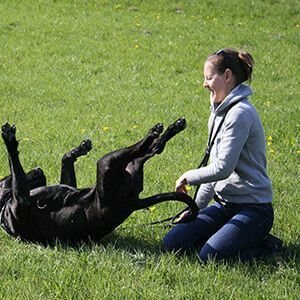 Val has been using her gift of telepathic animal communication to get to the root cause of issues with dogs for well over 30 years. How does she gauge her success? The dog’s behavior or health issues are identified and the right action steps are put into place to resolve the “real” cause of the issue. Many times issues can be resolved in the first session! Want Val’s help with your dog? Look under Work With Val and choose the consulting plan that’s right for you! 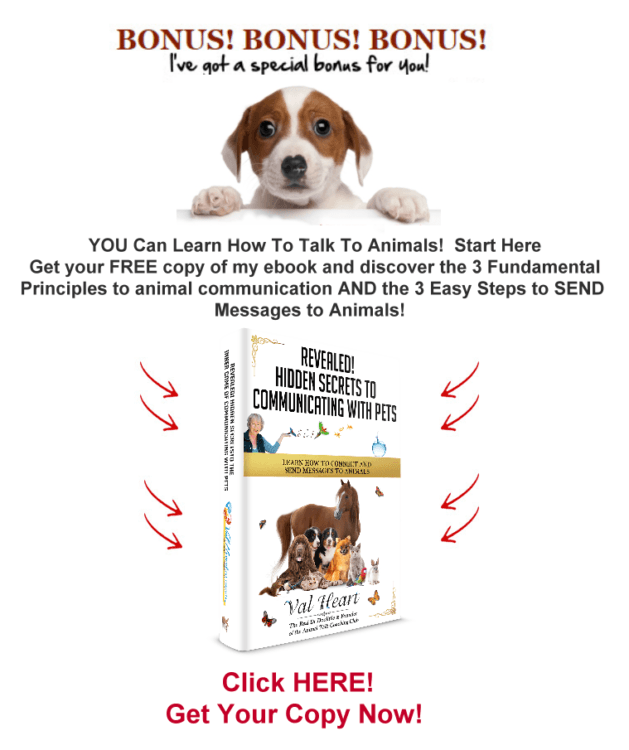 To learn more about animal whispering, click here!